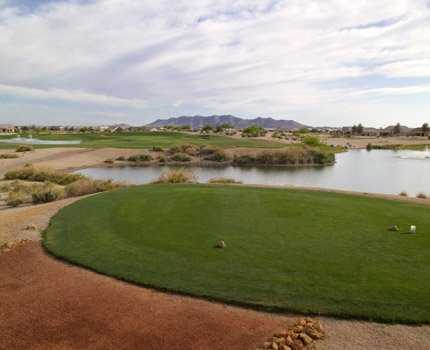 Playing around 6,700 yards, the Greg Nash-designed par-72 Mission Royale Golf Club is part of the Meritage Corp.'s 835-acre active adult layout. 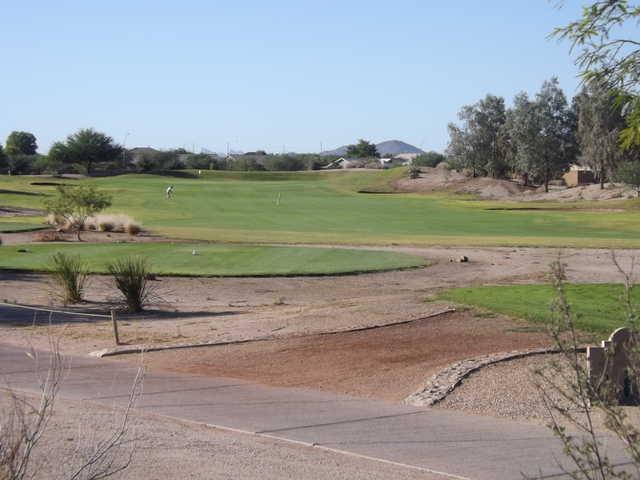 With a course/slope rating of 71.1/122, the golf course is friendly to all levels of players. 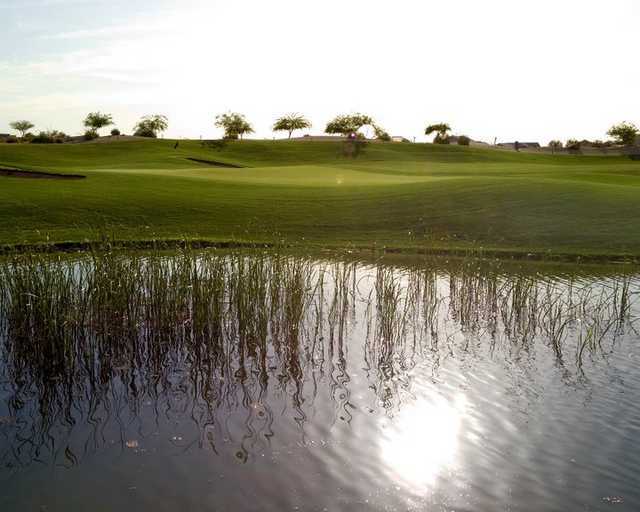 The signature hole is the eighth, a 310-yard par 4 that can be reached with a driver by long hitters, but poses significant risk with a large lake in front of the green. 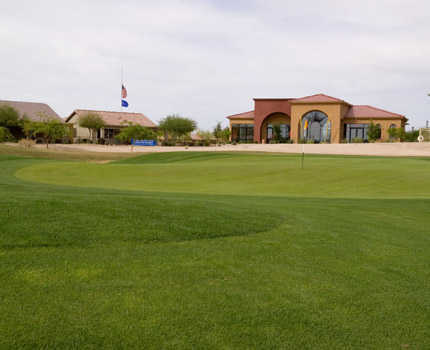 Amenities at Mission Royale Golf Club include a driving range with putting and chipping greens as well as an "In Celebration of Golf" pro shop. I HAVE BEEN PLEASANTLY SURPRISED AT THIS COURSE THE LAST 3 TIMES I HAVE PLAYED IT. THE GREENS, TEES, FAIRWAYS ARE IN GOOD SHAPE. THE COURSE IS SURPRISINGLY TOUGH WITH PIN PLACEMENTS ON VERY ROLLING AND SNEAKY GREENS. I AM A 6 AND MY SON IS A 2. 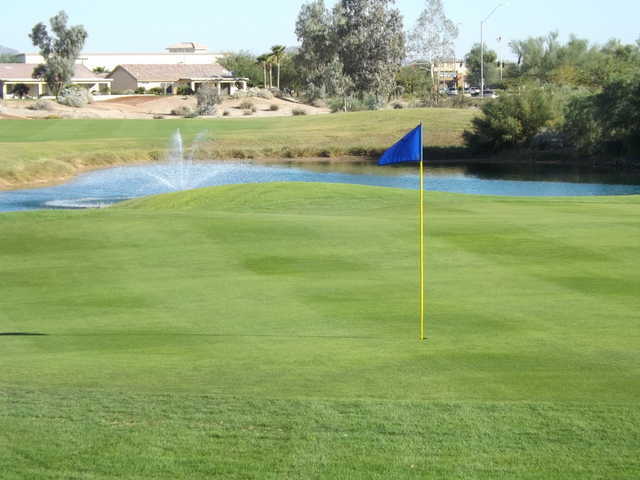 I SHOT 80 AND SON 78, SO YOU CAN SEE THE DEGREE OF DIFFICULTY WITH SOME OF THE GREENS. 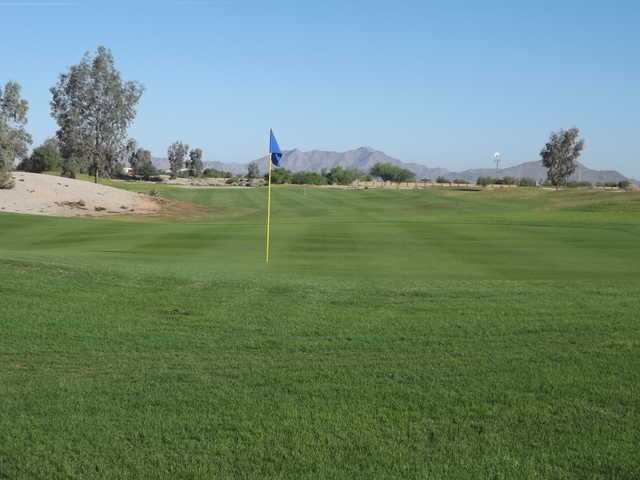 IT IS ONE OF THE BEST VALUES, WITH PRICES MORE THAN $20-$35 CHEAPER THAN ANY PHOENIX AREA COURSE THAT IS EVEN CLOSE TO THIS COURSE IN APPEARANCE, SHAPE, DIFFICULTY, ETC.